In this world of automation nothing is untouched with the technology. HawksCode is a unit that assemble or mobify Customer Relationship Management software for you. We have a team that is capable of making these software with Zoho CRM. The modification of this CRM function is also done with integration of the different desktop and web application. Our team consist of experienced professionals who are modifying this softwares from the day it got released. Zoho CRM is a cloud based customer relationship management software that comes with already integrated software. These softwares are like word processing, spreadsheets, documents manager, memo maker and other many important software. This is a freemium software that works online with its integrated utility softwares that it comes with. This open software help you in creating CRM environment for small and mid-size businesses. With so much less cost you can come up with a great solution to handle your business. This solution also offer you social media handling that will let you communicate with your customers and team members. Zooh CRM comes with a newsfeed to post status updates and share files. Not just news feed it comes with a messanging application too. And speaking of social media, Zoho integrates with Facebook and Twitter to automatically link contacts with their social media accounts. Consequently, social media interactions are aggregated in the system and visible on the dashboard. 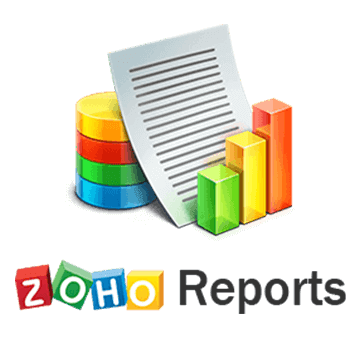 In Zoho CRM we provide you analytic application to make track of your business activity. User can track performance and results at the business and employee level. While not as extensive as the paid version, the free software still offers an extensive range of reporting capabilities. The system also has robust security features and allows the administrator to assign roles, control access and impose restrictions. For the smallest businesses, this free option yields an impressive array of benefits. We are contrantly improving and updating the zoho CRM software with some major and minor fixes. Our team is constantly working to introduce and unlock new capability of the Zoho CRM. With combination of different third party softwares we are making more and more powerful for your work. We make it more compatible with your business. We feel proud to be a CRM Development company that is making brilliant result with its work. Browse a comprehensive list of Google products designed to help you work and play, stay organised, get answers, keep in touch, grow your business and more. We're passionate about creative product design, so before bringing each new item into our assortment we make it a point to ask: "What makes this an uncommon good?" Hard work, Commitment, Accountability and Passion! We have a faith to serve and a brand to represent. We take pride in each award and recognition we have earned.